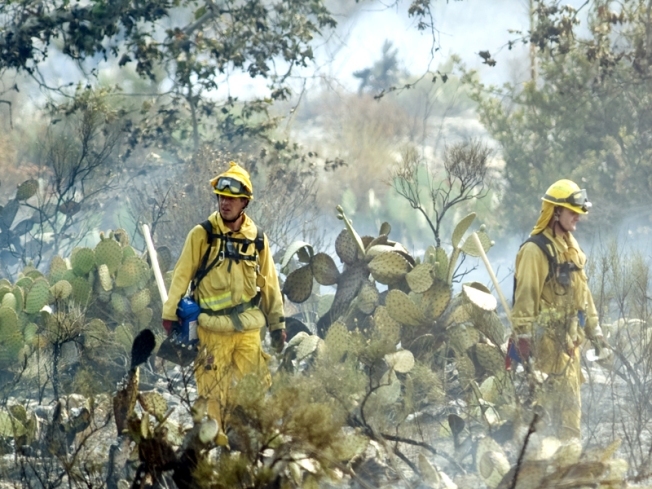 Firefighters look for hotspots at a fire inside Caspers Wilderness Park on Ortega Highway in California on Thursday, Aug. 13, 2009. Thousands of firefighters battled wildfires across California on Thursday. Cal Fire crews on the Lockheed wildfire lines reported significant progress Sunday morning. 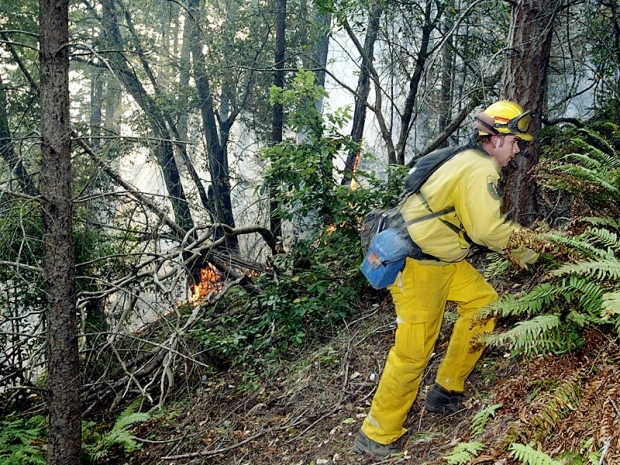 They now have the Santa Cruz County fire 50-percent contained. Some 250 homes are still threatened by the fire and some 2,000 more are under forced evacuations. Among them is Laurie and Joel Spray who had to leave their home on Bonny Doon Road and have been staying with friends in the nearby Ben Lomond area. The couple spent Saturday in the Felton and Scotts Valley area, Joel Spray said, nearly 10 miles from the site of the fire. "It was so smoky and acrid," he said. The view of the mountains was entirely obscured by smoke, he said. The Sprays have been following news reports of the fire closely to get a sense of when they might be able to return to their home. Cal Fire has estimated the fire will take another week to contain. Smoke continues to fill the air through much of Santa Cruz and Monterey Counties as firefighters continued to battle the blaze in steep, rugged terrain. Smoke could be seen and smelled in the Santa Clara Valley over the weekend, but it was coming from a fire burning east of Livermore and not the Santa Cruz fire. 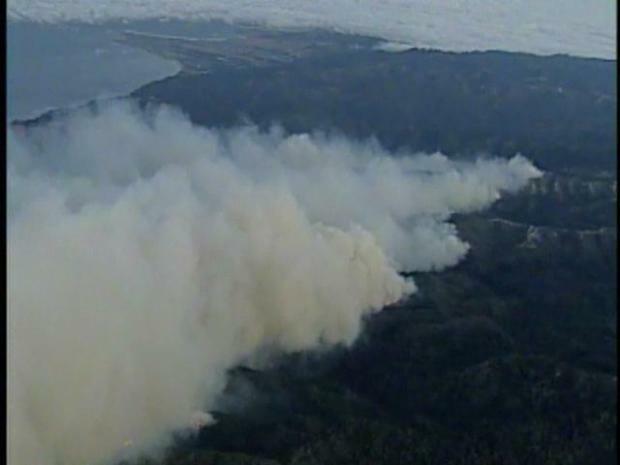 Smoke from the Lockheed fire is traveling south and away from the Bay Area. A wildfire burning in the Santa Cruz Mountains continues to threaten homes as it spreads through the rural Bonny Doon area. The fire in the Santa Cruz Mountains has blackened close to 8 square miles of remote wilderness since Wednesday and prompted mandatory evacuations of the mountain communities of Swanton and Bonny Doon, which have about 2,400 residents and several wineries. Major problems and concerns for Cal Fire continue to be the weather, steep terrain and limited access to the fire's perimeter. "Conditions continue to be very fluid and may change quickly based on weather factor," according to a press release. The fire has cost $6.2 million to fight so far and it is still not known how it started. 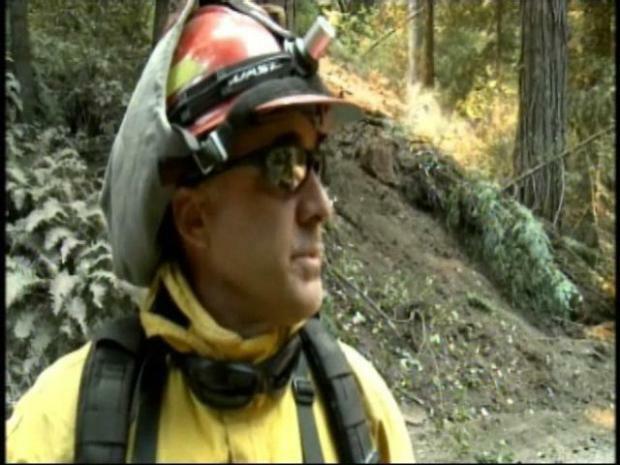 In June 2008, the Martin Fire burned more than 600 acres and forced the evacuation of 1,500 Bonny Doon residents. On Saturday the state's action star turned governor promised to put the flames out. Gov. Arnold Schwarzenegger got an up close look at the Lockheed fire in Santa Cruz County as fires continued to rage across the state. Schwarzenegger promised swift action and support from the state to put the fires out. The Governator promised to terminate the flames by sending more than 6,800 fire personal statewide to battle flames across California. He also said 68 helicopters, 711 fire engines and 46 fixed winged aircrafts would be deployed to help fight the fires aross the state. The governor's office said on Saturday that more than 117,152 acres have burned across California since Aug. 1 and as many as 3,100 residents have been evacuated from their homes.